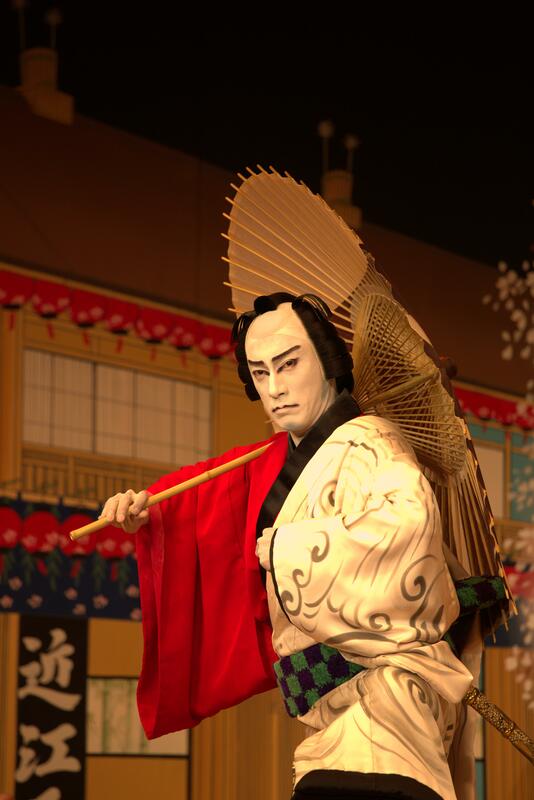 Are you a fan of Japanese theatre? Then you’ll be pleased to know thatEBIZO ICHIKAWA XI’s JAPAN THEATER 2015 will be here in Singapore in October! 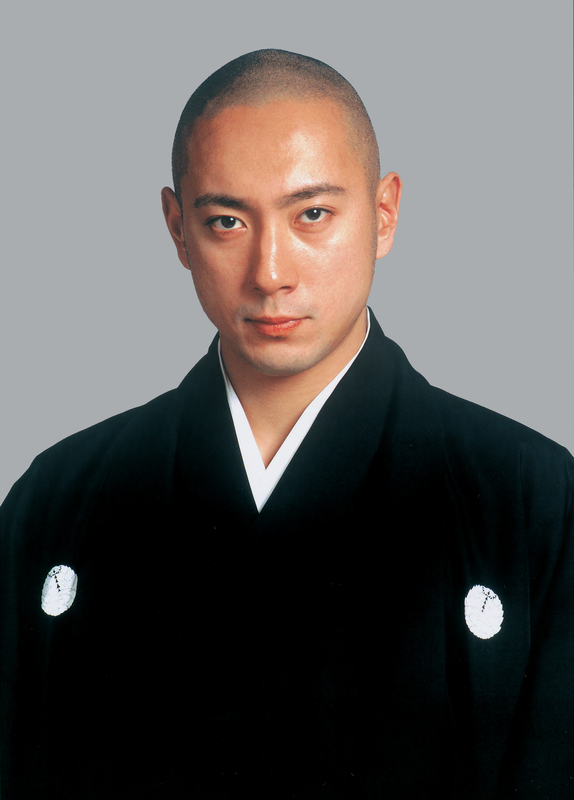 Ebizo Ichikawa XI is from one of Japan’s oldest and most prestigious kabuki families. This October, the ‘Crown Prince of Kabuki’ will be coming to Singapore to debut two new kabuki plays, Uwanari and Mimasu Kuruwa no Kasauri. Uwanari has not been performed in a hundred years, and its debut on the 17th of October marks a significant moment in kabuki history. Thanks to EBIZO ICHIKAWA XI’s JAPAN THEATER 2015 & their PR, we are giving a way a pair of tickets, each worth $145! Terms and Conditions: No age limit, no photography nor videography during the performance, and no reselling of complimentary tickets. The organizer reserves the right to make changes to the terms and conditions. All you have to do is to go to my IG and FB page to look out for the giveaway post and follow the steps to qualify for the giveaway! As part of the contest, each finalist has a dedicated Kose Facebook page where we post our beauty tips and journey through the month of May. Kose make up artist Cleo, June, Ariel and DJ Jia Hui during the skincare segment. Fan interaction where Cleo and Ariel show how one can complete the make up base regime in less than 5 min. Ariel giving out token of appreciation to the volunteers. Lucky lucky volunteer who got her face touched by Ariel! Haha! Next up we have make up segment by Osamu Dobashi, Japanese make up artist who looks like Vanness Wu, especially from his side profile. 😛 Model of the segment is the model/actress Haley. Look at all the important looking Japanese men at the front row. I was wondering if they enjoyed the workshop as much as we ladies did. Hehe! Dobashi getting very animated about makeup. And the whole look is completed! After the stage demos, all of the participants got to explore booths and buy Kose products at a discount! Yay! Beach themed decoration. So cute! I’ll be blogging about the Kose Sekkisei Cinderella Contest audition and interview process in another post soon! Thank you June, Kose Sg Team for the wondering afternoon at MBS for the workshop. HABA the brand, is an acronym which stands for Health Aid Beauty Aid. that the right skincare and healthcare will lead to a better life. which originates from Hokkaido, Japan. that can cause skin irritation and allergic reactions. Instead, HABA uses ingredients such as sasa kurilensis water (bamboo extract) which acts as a preservative, contains antibacterial properties and helps to keep the skin moisturized. (Is that why bamboo juice is so refreshing on a hot summer day?!). HABA only uses ingredients that are safe and healthy for the skin. Weeks back, I was invited down for a mini facial and skincare treatment at the HABA Suntec outlet. The skincare treatment consists of the items which I also brought back for use to review. I pump 1-2 times on my cotton pad and wipe away my makeup. Then I will gently cleanse my face with water. After using this to remove my make up, it also cleanses my skin, so technically it saves me one step! much like a water based lotion and cleanses gently as much as thoroughly. I use 1 pump for my entire (small) face. and gently pat on your face with your fingers. it is moisturizing, antiseptic and has sterilizing effects. The serum is light weight and is liquid in consistency. Apply VC Lotion by patting lightly on the skin with both hands. HABA encourages ladies to apply this toner 5 times during each use. This way, the product can fully penetrate the skin, leaving it refreshed and supple. it does make a lot of sense since toner bottles always come in such big bottles and take forever to finish. which can penetrate the skin better and is non irritating to the skin. helps to keep moisture levels in your skin for a longer time. spread the Squalane on your palms and press them gently on your moist face. This is also one of HABA’s best selling products. that is in our skin that created a protective film to retain hydration. After using this set for weeks in the morning and evening, I feel that my skin is pampered and properly hydrated. I would definitely recommend this to ladies who are looking for natural skin care products, for hydrated and supple skin, especially in dry weather. and I approximate that these will last for 3 months. a fruit that is coveted for its powerful whitening and anti-aging properties. which helps to enhance skin clarity and firmness. The taste is sweet, smooth and I love the blueberry flavour. I only got to try 1 bottle, so I can’t attest to it’s longer term effect. Also, as I am also in my early 20s I don’t (yet) have to worry about collagen loss. a home esthetic treatment device that cleanses and treats your skin with the power of ion. Ion Cleansing Mode and Ion Care Mode. At approximately 8 minutes, a beeping sound will go off to indicate that the treatment is done. Remove the mask and apply lotion Squalane on your face. and Ion Cleanse Mode once a week for maximum results. It’s also hard for me to say how effective it is as I’ve only tried it once. charge this instrument. Cool huh?! That’s one of the reason why I love being a blogger! The Ion My Esthe II (Facial Instrument) costs $350. HABA also has make up products, which I had the pleasure to try during my visit. and also creates a very Japanese look, in my opinion. Quote my name “Ena” and get 15% discount, valid till April 2014. Step 3: SHARE this Facebook post here. Deadline: 30 March 2014, Sunday 7pm. Winner will be announced here and on my Enabalista FB page shortly after. Winner will have to provide his/her email address and pick up the products at the Suntec store! And their *NEW* OG Orchard ! Follow HABA on their Facebook here. Matsuri means Festival in Japanese. I am not quite sure which festival we were meant to be celebrating, but I think it should be the Mid-Autumn Festival or Lantern Festival which was just recently passed! 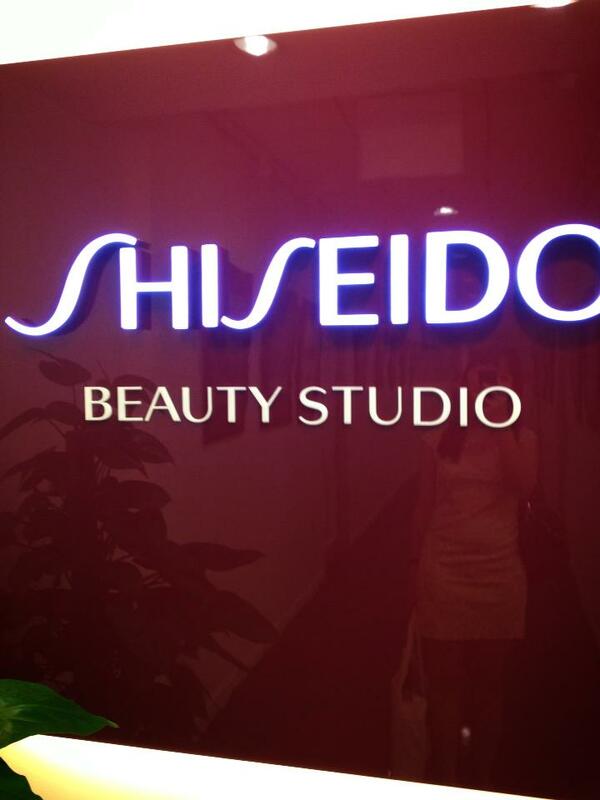 The workshop was held at Shiseido’s office and conference hall. This is how the little Hummingbird III Palette look on the inside. It has a 3 light eyeshadow pots and 1 lip gloss pot. The palette with musical score which I believe to be accurate. Would be interesting to play it out on the piano! The workshop started first with Senka product introduction followed by testing/application. According to the trainer whose name is Louis, Senka means expert or specialist in Japanese and essentially the brand is known to be focus on R&D to produce the best skincare products for Asian skin. Hence they have good quality products without much fan-fare on the packaging. I won’t go much into details about the products except for the Senka Perfect Watery Oil, which is known to be a makeup remover that also helps to remove and minimize blackheads! Louis was raving about how effective it was and that he used it and it works. So I even asked him if it is non-comodegenic (non acne causing) and he said it is! Out of all the products, it’s one that I’d like to try and thankfully they handed us a sample bottle to try! So I’ll likely try and put up a review after I’ve used it. ^^ Meanwhile, you can check out QiuQiu’s sponsored review on their makeup removers here. After the Senka introduction portion, we had our hands on session with Majolica Majorca makeup! 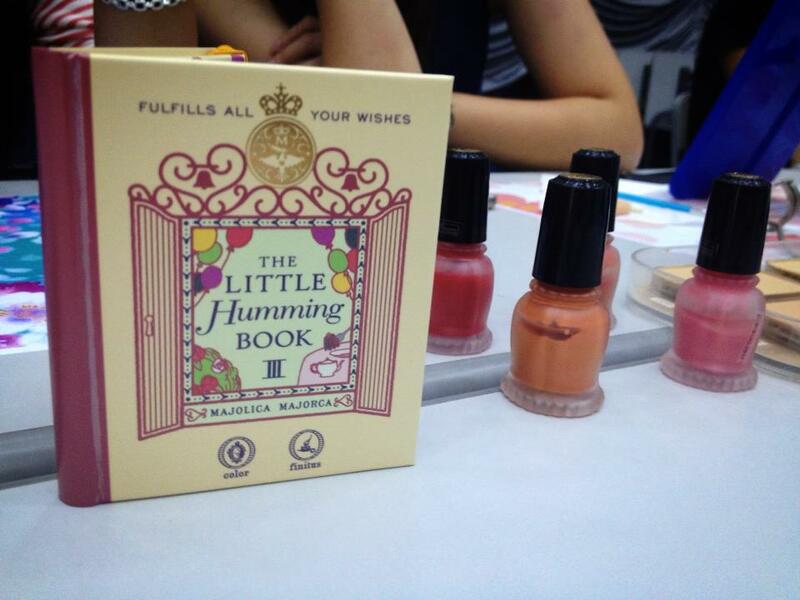 I tweeted after the session how I love this brand for its fantasy concept… It’s so beautiful lah! *^^* They remind me of Anna Sui, except with a stronger concept with more story telling. 🙂 Check out their website and watch the video on the site! You can follow their FB page here. This season’s story is reminiscent of Alice in Wonderland with a strong baroque styling. Not exactly the most original concept, but still interesting and captivating! The last segment of the workshop was Ma Cherie, it means my dear in french. Looking at the branding and design it looks just like a French pastry store logo doesn’t it? 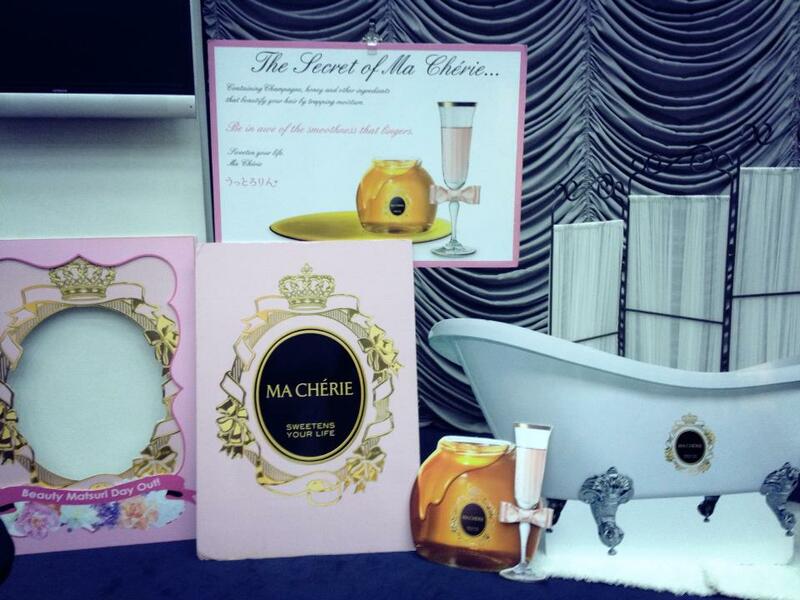 I guess Ma Cherie wishes its customers to feel sweet and happy when using their products! Louis the skincare and hair trainer showing how to work a Ma Cherie product. I think this was a hair curl setting spray. I don’t love every single item that I tried on that day, there were definitely some hits and misses. But for what it’s worth, it made me fall in love with the Majolica Majorca Skin Lingerie Pore Cream and want to try the Senka Perfect Watery Oil! That’s a pretty good desired effect from a participant, I reckon! So with a face full of makeup (which is rare for me, since I usually don’t put full on foundation) I decided I’d snap more photos! After the Nth time to get a good angle. Anotther one. Panda eyes, Duck smile! Retarded smile! 😛 Angles are so important for face selfies, really!